Oh boy. This is a great read, and I’m so happy I picked up this book (against my initial instincts that I wasn’t the right audience for it). When Wilson’s publicist spoke to me about this author he deemed it a ‘guy’s read’, and that regrettably, turned me off of it. However, I had to read the book anyway, so I gave it a try. Within the first 20 pages, I was so glad I had picked it up, and over the two weeks of reading, I always had the characters in the back of my mind. “It’s not the destination, it’s the journey” (p. 202). This particular phrase sums up the purpose and the style of the book. It’s one of those stories that ends abruptly before anything is resolved, but this is (presumably) done on purpose. Although at times frustrating for a reader, it makes you stop and think about what the author is trying to tell you, and Wilson employed tactics such as this, as well as the mention of future events that the reader will never be a part of to force you to slow-down and really take in what’s written. It’s another well-developed but not-oft used strategy to and as a speed reader of books, I need this reminder. Aside from the plot, the setting of the book is key to its enjoyment. I worry that people who aren’t used to being in the mountains (as I am lucky enough to now be) may not connect with the story as much. 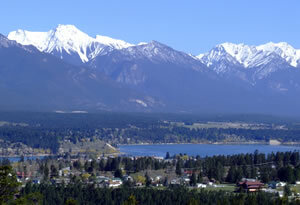 It takes place in a real town called Invermere, which is a picturesque place nestled in the mountains of BC, around a big beautiful lake. For my eastern readers out there, I liken Invermere to Muskoka, as there are wealthy Calgarians that vacation there, with a mix of ‘townies’ (i.e. people that live there all year round, who tolerate the out-of-towners, but ultimately depend on them to keep their area alive and growing). I’ve been to Invermere myself (only once, so if I’m a bit off in my estimation of it, apologies), but just knowing the area even that little bit adds to the story. I think that prior knowledge helped me empathize with the characters in a particular way, as I had met people in real life that reminded me of Wilson’s fictional cast. 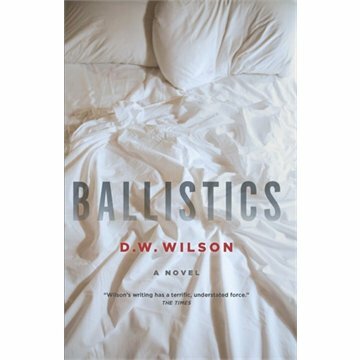 Ballistics by D.W. Wilson is definitely a masculine book, there are numerous fist fights, fires, sawed-off shotguns and all the perspectives are male. But don’t let this scare you off, it’s a beautiful story, and surprisingly, everything revolves around the female-dominated world of the domestic, so quite frankly, I hope this book appeals to both a male and female audience. I have been wondering about this one since a couple readers whom I respect reacted favorably (and I was not aware of it at all). They hadn’t mentioned the Invermere angle and that settles it as a must for me. I know the area as well and it seems to be ideally suited for the story. 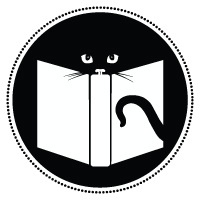 And welcome to the Canadian book blogging world. There are not a lot of us so it is wonderful to have a new voice. Thanks Kevin-I love reading books that take place in a real location that I’m familiar with, so I guess I’m not alone in this preference!